VICTORIA 59 Bassman 45410 recreation of the ’59 Bassman Mint/New Cond. 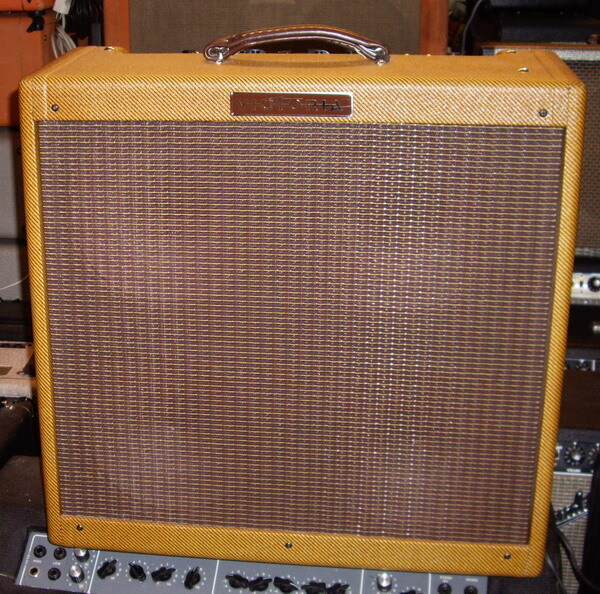 His Victoria 45410 is the loving recreation of the ’59 Bassman and no detail is left undone. 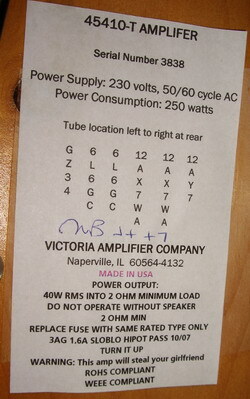 Our Victoria capacitors were designed specifically to sound like a slightly degraded, 40 year-old cap. If you’ve ever wondered why expensive new ‘reissue’ amps often sound cold and chiseled compared to their vintage counterparts, now you know. 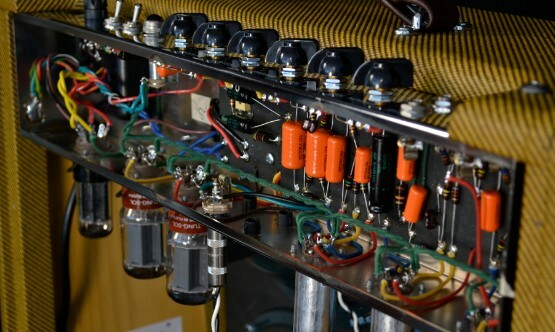 The 45410 is a complex, detailed, and dynamic amplifier that responds to pick attack like no other amp on the planet. 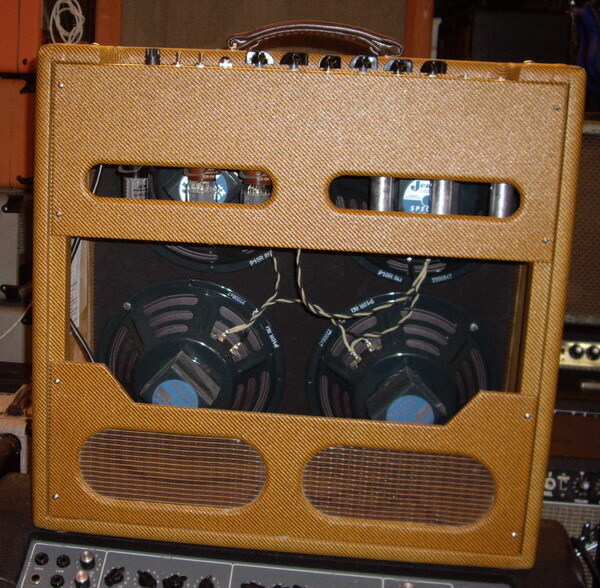 It’s also a rock solid bass amp for recording and club work.